Dc Comic’s fighting game, Injustice 2 has just arrived on mobile ahead of the console version, which is free-to-play summarizes all the thrilling that we will see in its version of consoles. Injustice 2 will hit in digital and stores on May 16 for PlayStation 4 and Xbox One. Superman, Batman, Wonder Woman, Harley Quinn and the most powerful metahumans will face again with the dissolution of the Justice League, pending quarrels of the original ‘Injustice’ must be added the emergence of The Society, an alliance made up of wrongdoers like Bane, Catwoman or Deadshot. However, Brainiac’s onslaught will once again put the world on its feet. 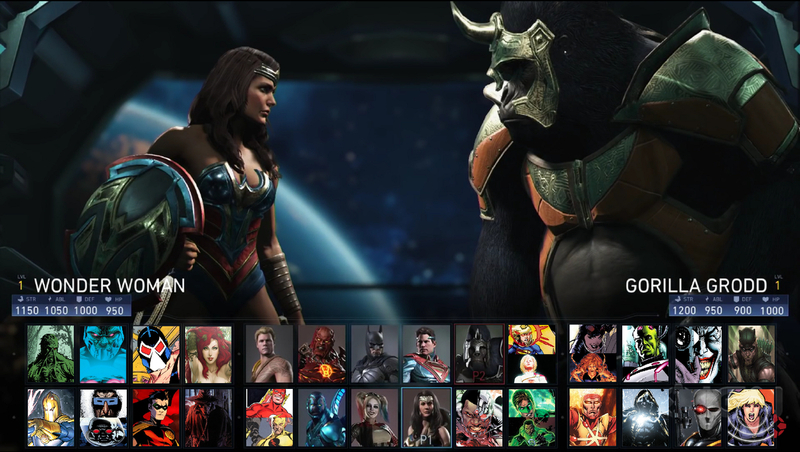 The mobile version of ‘Injustice 2’ combines an updated control system compared to the one seen in the first release. On this season, we will have access to aerial movements, and we will be able to launch projectiles and sweeps, but fundamentally we will have to cover the screen and move the finger of our adversary and to take advantage of the special abilities when the energy bar allows us. ‘Injustice 2’ Mobile game includes the same story mode will be given episodically over the period, but we’ll finally get the full narrative on mobile. Although in campaign mode we will be able to test the equipment and pieces of armor that we obtain and in which we will have access to 3 vs. 3 simultaneously. ‘Injustice 2’ is now available on the AppStore for Apple devices and the Google Play Store for Android, and as usual with Netherrealm games, playing mobile versions will unlock articles in their console counterpoints. For their part, DC heroes and villains will collide again on Xbox One and PS4 from May 16; It’s time to get into superhero mode.